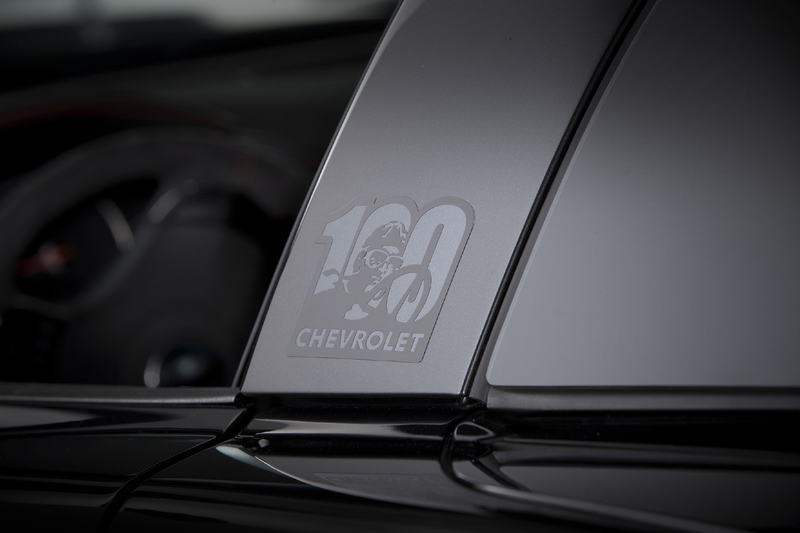 Chevrolet is celebrating its 100th anniversary with a fitting tribute to racing driver turned entrepreneur, Louis Chevrolet. 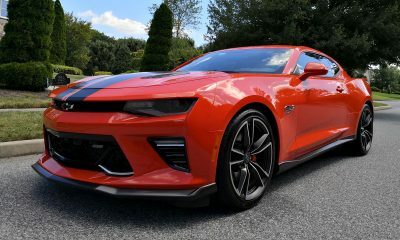 The brand’s founding father raced in four Indianapolis 500s from 1915 to 1919, and though he never managed a victory, his motorsports expertise helped guide his car company from the outset. 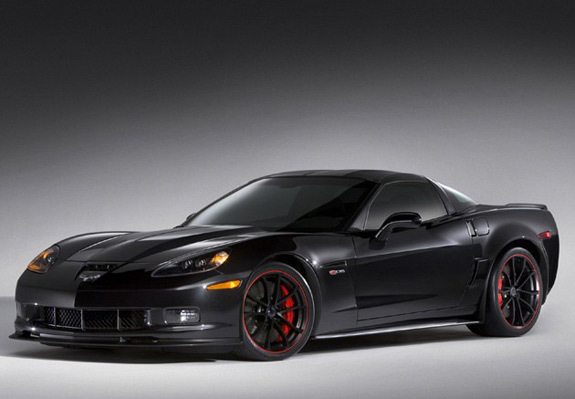 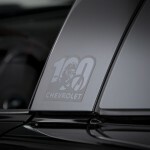 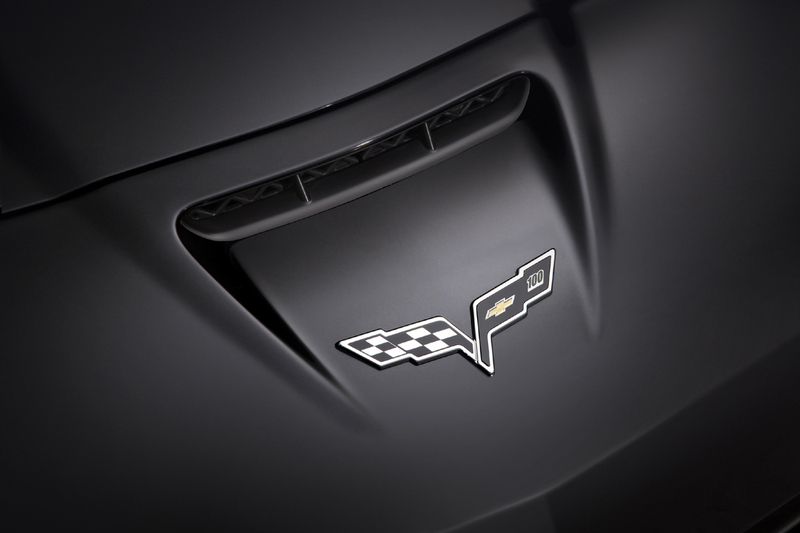 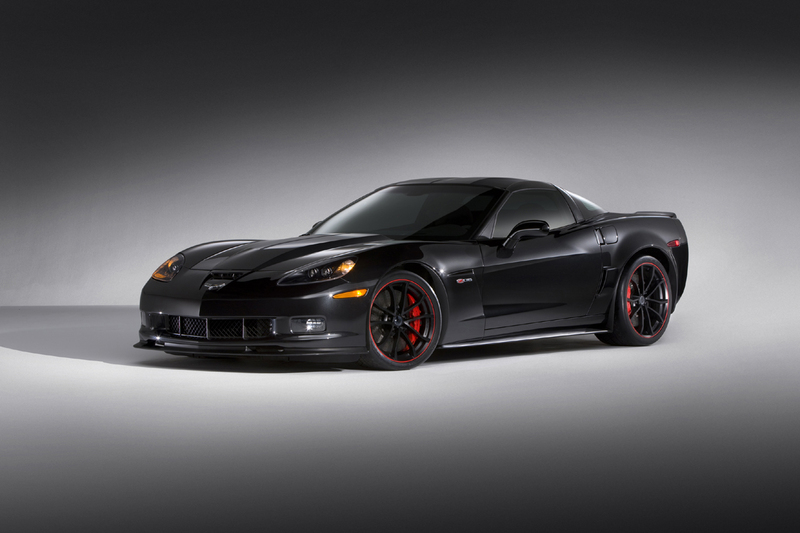 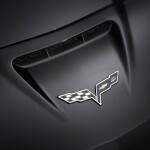 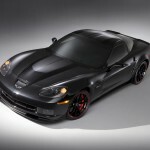 In observance, the 2012 Chevrolet Centennial Edition Corvette gets a special coat of “Carbon Flash” black paint and carries logos on the B-pillars with the number 100 and a likeness of Mr. Chevrolet himself. 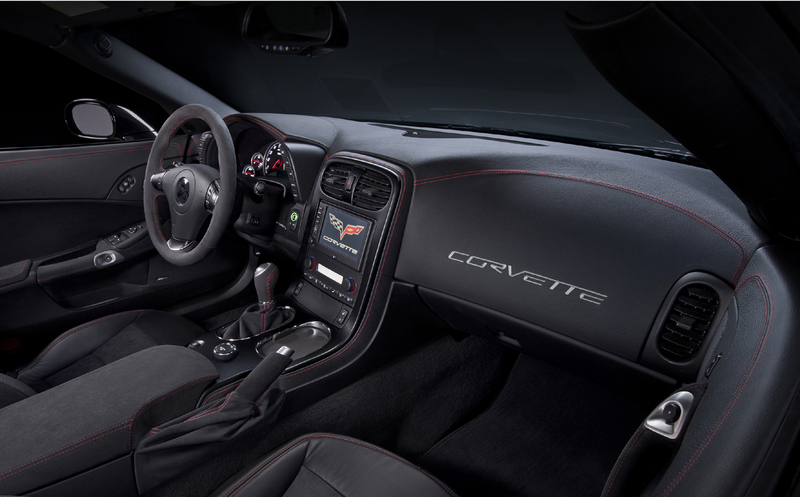 Inside, there’s plenty of Alcantara and contrasting red stitching to set off additional black trim, and the headrests are embossed with the same 100th anniversary logo as the B-pillars. 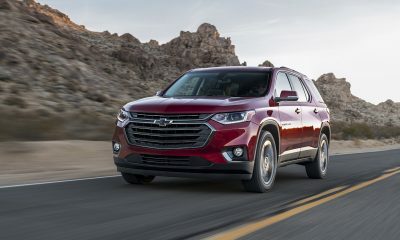 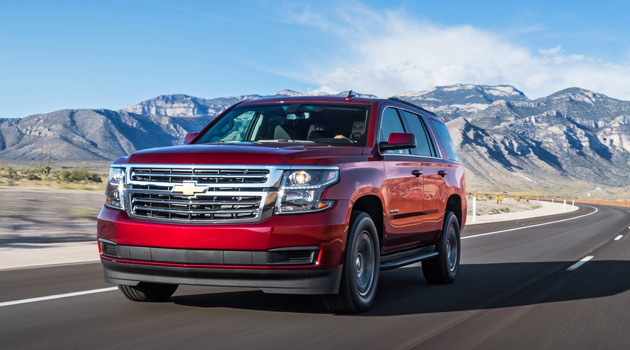 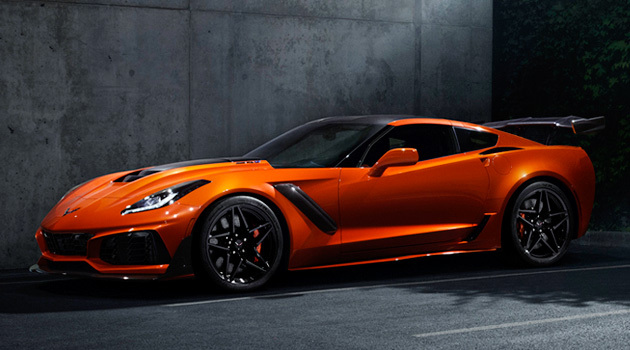 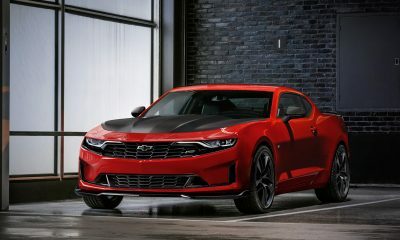 Outside, the Centennial Edition gets special 18-inch/19-inch wheels for Coupe, Convertible and Grand Sport; and 19-inch/20-inch wheels for Z06 and ZR1. 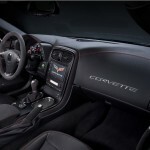 The Centennial Edition package is available on every Corvette model they sell, meaning you can get your Z06, ZR-1 or Grand Sport gussied up just the same as your standard coupe or convertible. 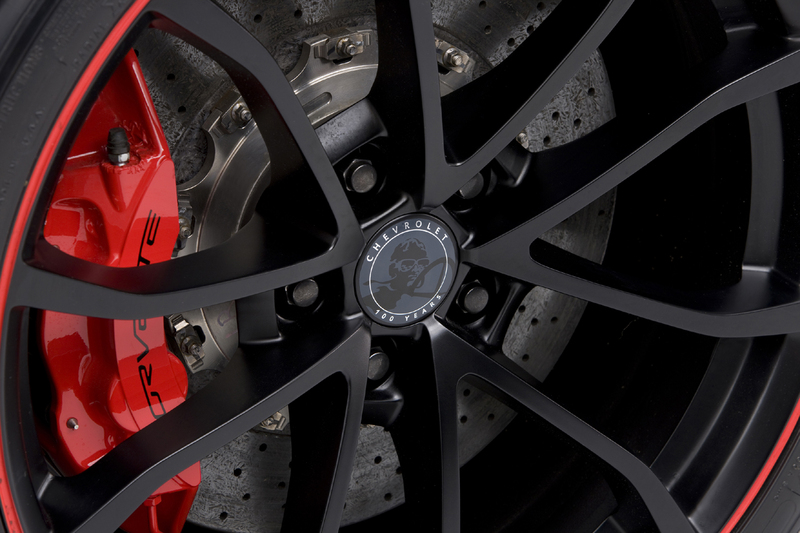 All of the cars with the 100th anniversary package receive red painted brake calipers and Corvette’s Magnetic Selective Ride Control. 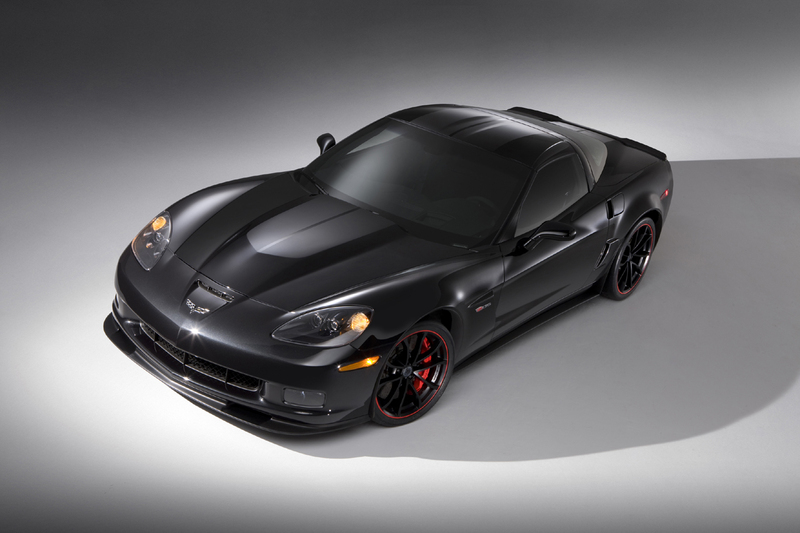 The Centennial Edition Corvettes go on sale this summer, but the first one was auctioned off last week by Barrett-Jackson. 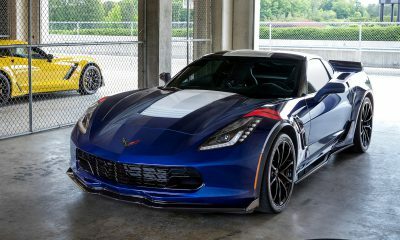 Rick Hendrick walked away with it for $175K, and proceeds from that sale benefits the Austin Hatcher Foundation for Pediatric Cancer. 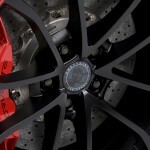 I’m not sure what’s going on with the paint on that brake caliper, but they might want to look into that! 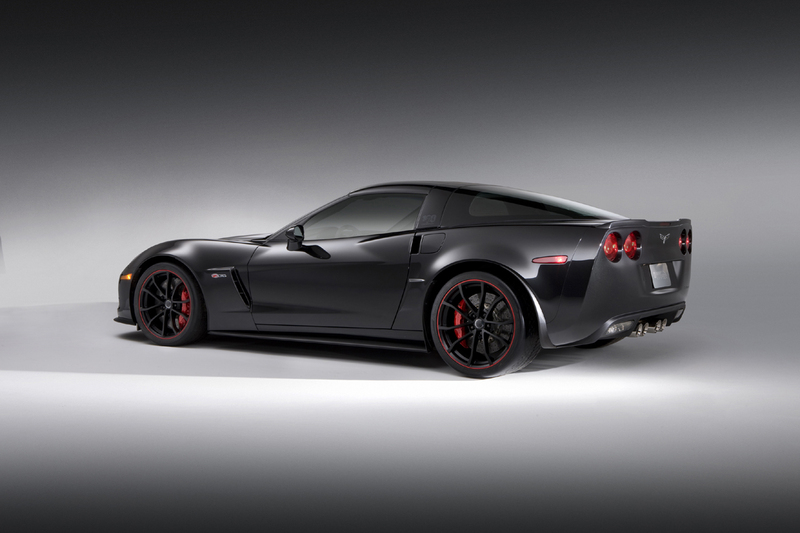 You’d think at this price point, they could spring for powder coating instead..